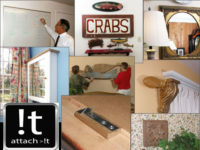 Items with wide wood frames over 18″, (in height or width) or greater than 10lbs, should be hung with large Attach-Its. Screw Attach-It’s on, with the prongs pointing down about one quarter of the distance from the top of the frame. 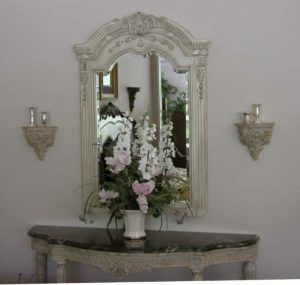 Be sure that all old hardware is removed and that nothing will prevent the prongs from fully inserting into the drywall. 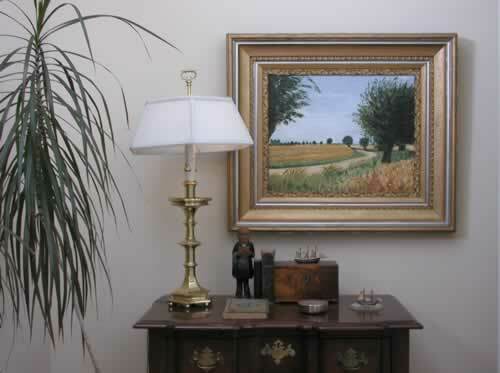 Oil paintings on canvas stretchers sometimes have the stretchers protruding out of the back of the frame. Mount the Attach-Its on the surface in contact with the wall. Pictures under 6″ wide need only one Attach-It. 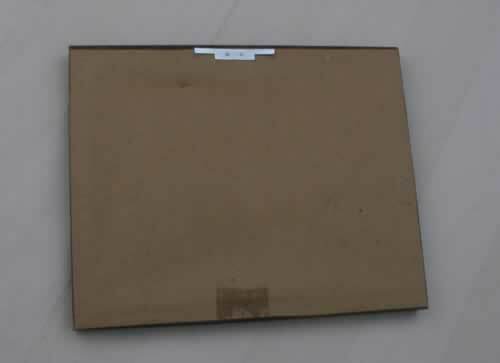 Pictures between 6″ and 24″ need two small Attach-Its mounted at the top of the frame with the prongs pointing downwards. 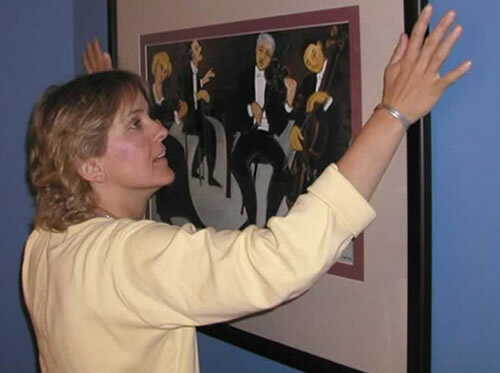 If the picture is large and has a frame that is too narrow for the large Attach-It (less than 7/8″) you can mount up to 4 small Attach-Its, two on the top, and two on the bottom of the frame. 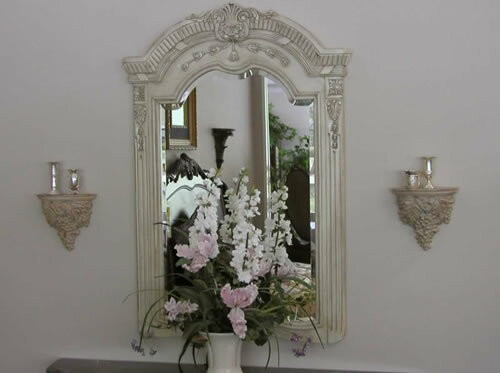 You must be sure that the frame is not warped and that all the Attach-Its can insert fully into the drywall to attain the rated holding. Attach-Its for metal frames will be available soon. 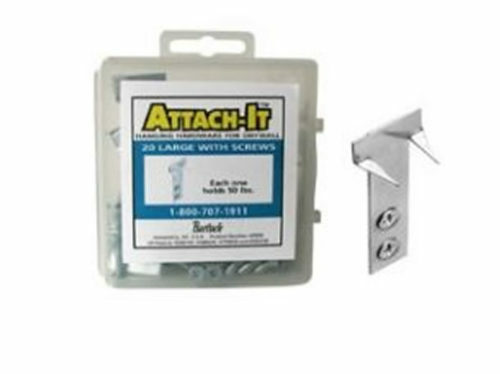 Small Attach-Its can be glued to lightweight frames, made of plastic or molded resin. Sometimes you can nail into the material as well as using glue for extra strength. We use Goop or Liquid nails. Follow the manufacturers instructions and be sure to allow the glue to cure overnight. 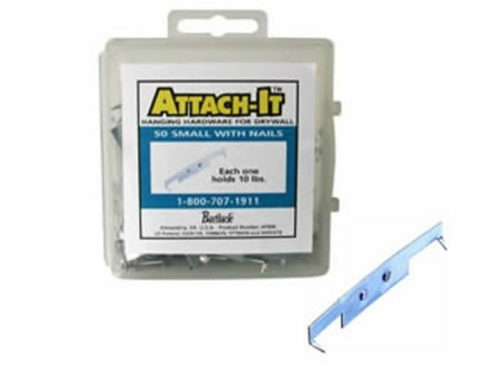 Use the Medium or Large Attach-It on items over 10lbs. 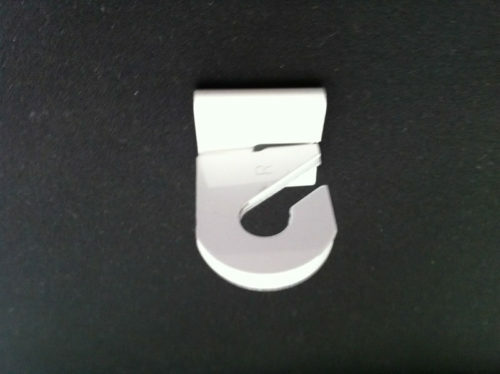 How you mount the Attach-Its will depend on the density and hardness of your resin or plastic frame. 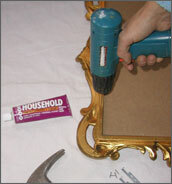 With hard items you need to pre drill holes and use glue when screwing on the Attach-ItTM. We use Goop or Liquid nails. With softer molded frames you can sometimes screw directly into the material. 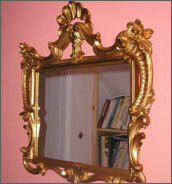 It is usually advisable to use longer screws and glue to prevent the Attach-ItTMs pulling away from the frame. Please note that items that protrude out from the wall such as shelves or wall sculpture will not have the same holding power. Do not hang more than 10lbs in this manner. Use the size Attach-It appropriate to the weight of the item and mount two Attach-Its about a quarter of the way down the frame. Don’t worry if the Attach-ItTMs are not at exactly the same height as long as the prongs are pointing directly downwards. 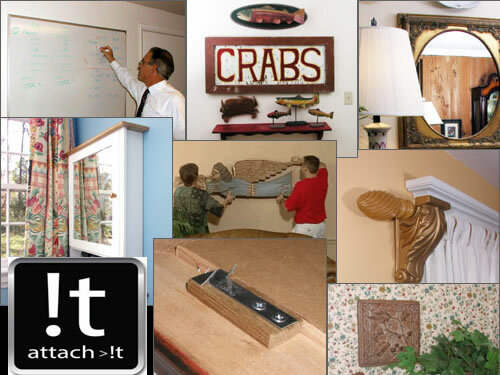 We advise you not to use Attach-Its with items made of glass and pictures with no frames, as pushing them into the wall may break the item and cause injury.